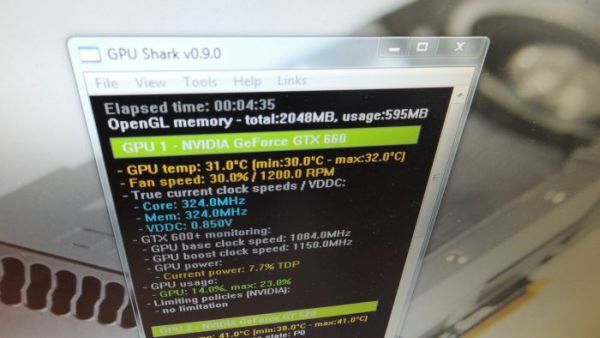 This new version of GPU Shark adds the support of latest GeForce for desktop (like the GT 730 or the GT 720) and recent GeForce for notebook (GeForce 800M and GTX 800M). The list of active applications for NVIDIA GPUs has been fixed and the detection of Windows 8.1 has been improved. You can submit GPU Shark information to the online GPU database (Tools > Submit to GPU Database). - fixed a small bug in Win8.1 detection. 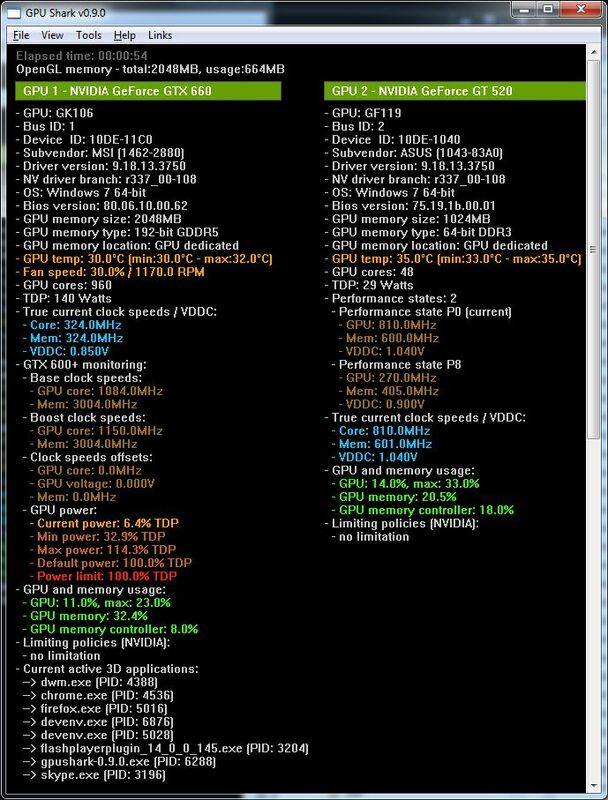 - updated functions related to the list of active apps for NVIDIA GPUs. - improved Windows 8.1 detection. - update: ZoomGPU 1.9.0 (with NVAPI R340). Just to confirm it works on Maxwell GM107 and Optimus as well.